Adaptive reuse. It’s a concept that’s been building a lot of steam over the last few decades, especially as historic preservation has become more important. 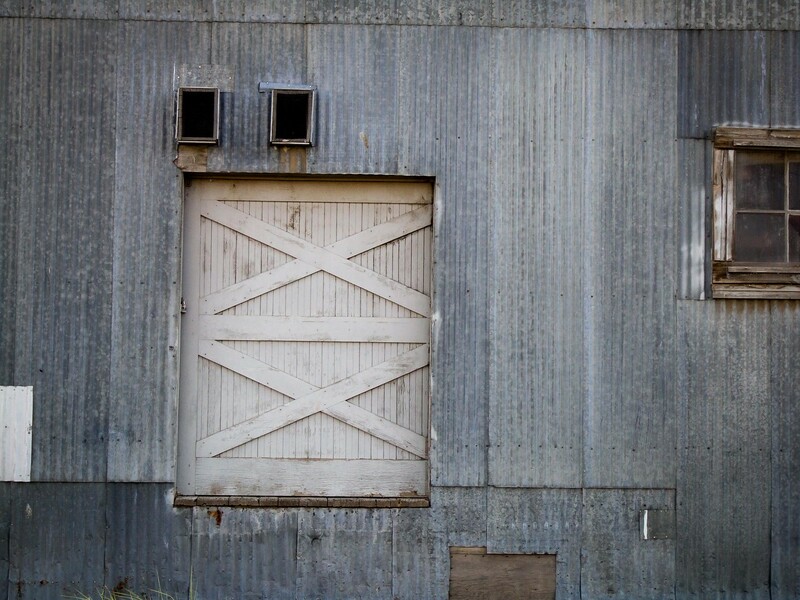 It’s a simple concept: instead of knocking down old buildings to put up something new, renovate those old structures that have outlived their original usefulness and give them something new to do. 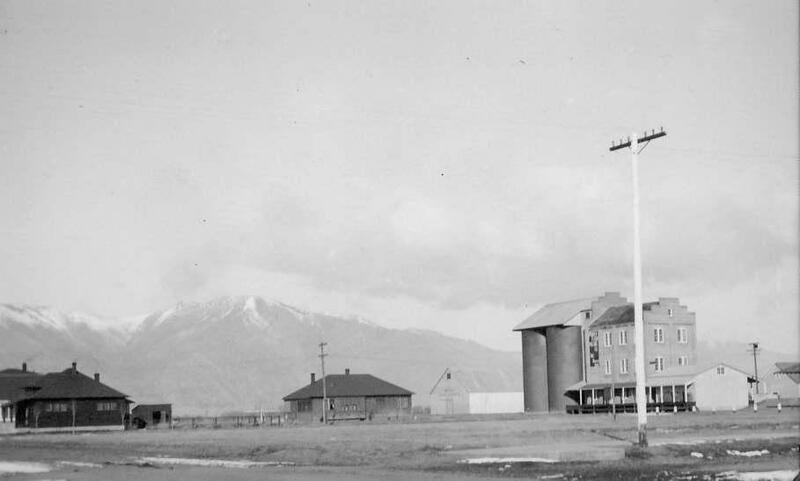 One of the early examples of adaptive reuse in Carson City was when they turned the shuttered Mint building into the State Museum in the 1930s. Other buildings haven’t been so lucky, like the old V&T Roundhouse that was destroyed because nobody really had the vision or the money to do anything with it. Minden is also getting on the adaptive reuse train. The project to renovate an old auto repair garage into a casino is well underway, and the old bank across the corner has seen a series of bars and cafes come and go. The former Minden Inn hotel has housed county offices for a long time now. 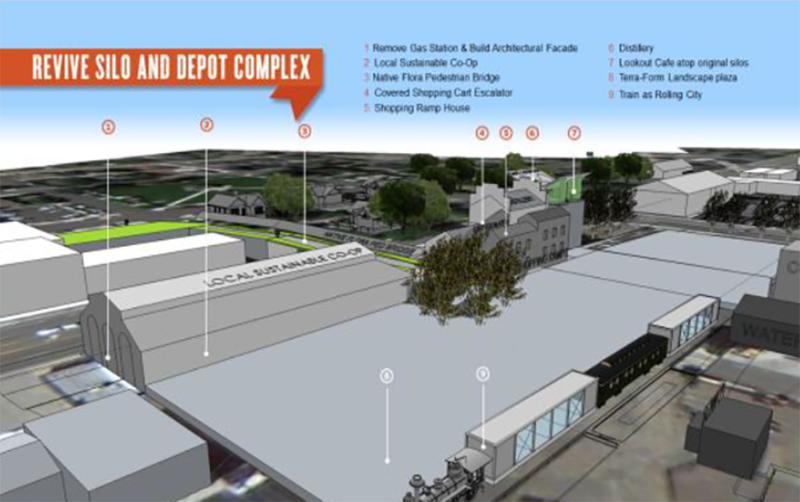 Minden is about to go all-in on adaptive reuse in a big way, though. 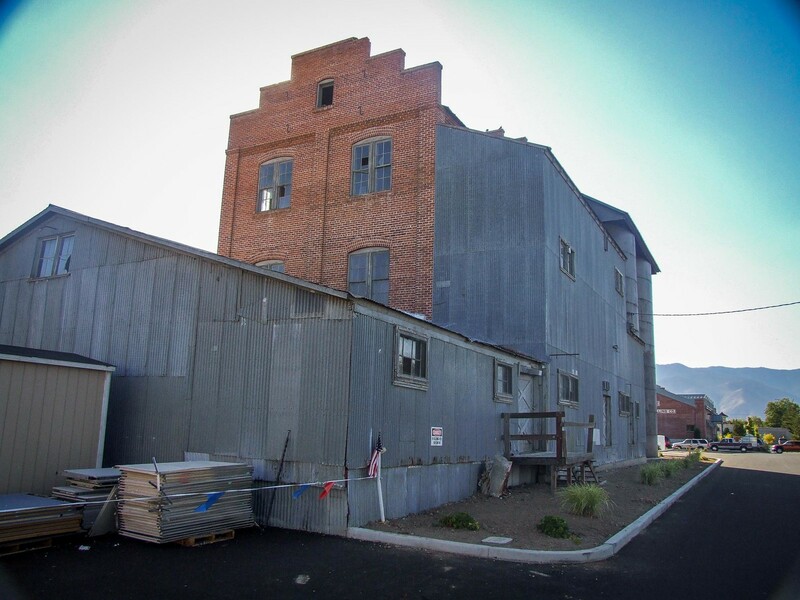 Bently Nevada, the company who already reused the old Butter Manufacturing Company building to make electronic components, is now poised to tackle the big daddy of adaptive reuse for the Town of Minden: the Flour Milling Company building. 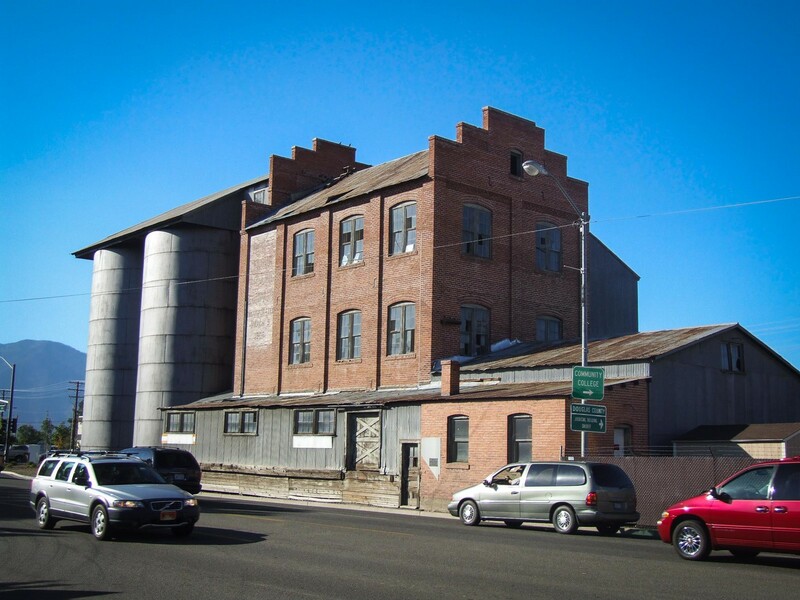 The old flour mill is one of the tallest buildings in Minden, a beloved historic landmark, and probably the building that is aching the most for adaptive reuse. Empty for decades, the building has slowly been fading away even as thousands of cars drive by it every day. 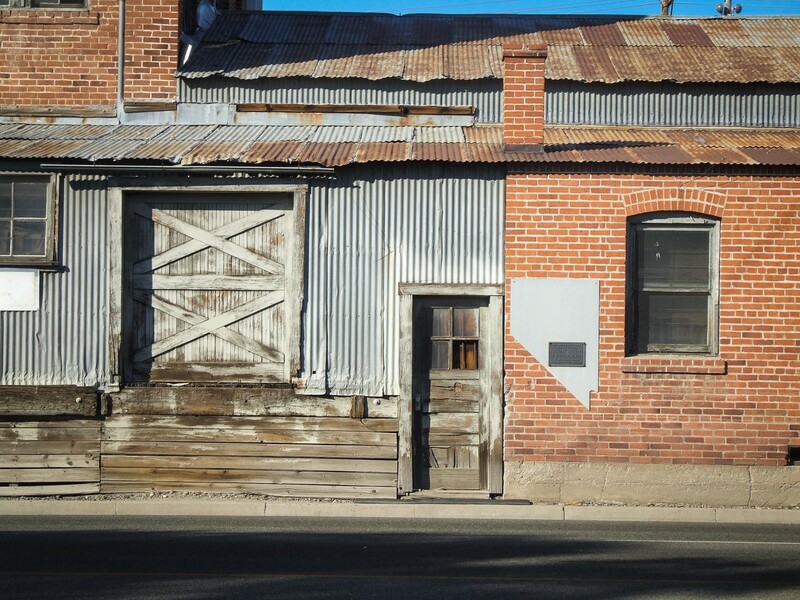 When the fledgling town of Minden was built in 1906, this was one of the first industrial buildings in town. 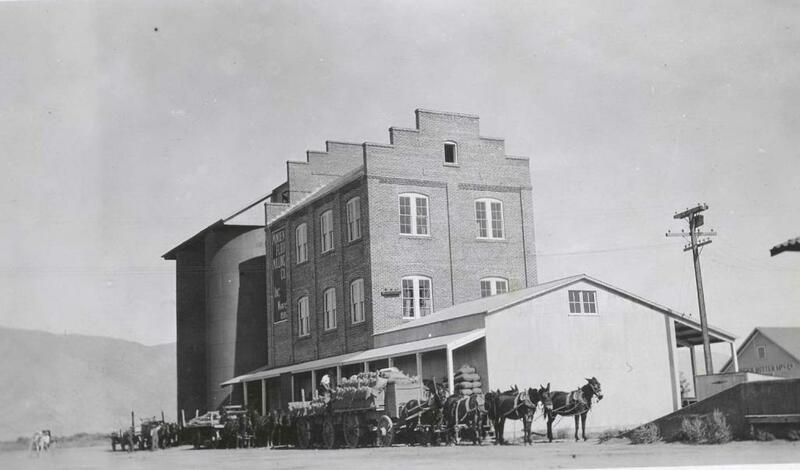 Founded by the Dangbergs, who built the entire town out of cow pastures, the Flour Milling Company operated for decades providing some of the best quality flour in the state. 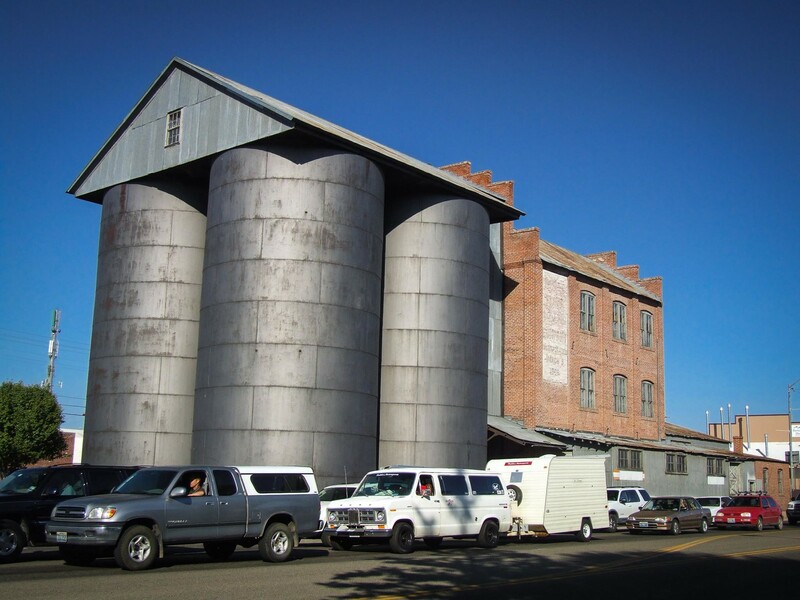 The flour heyday was over by the 1940s, but staying true to the Valley’s agricultural heritage, the mill switched over to making chicken and cattle feed. In the 1960s all production ceased at the mill, and the building went into mothballs. 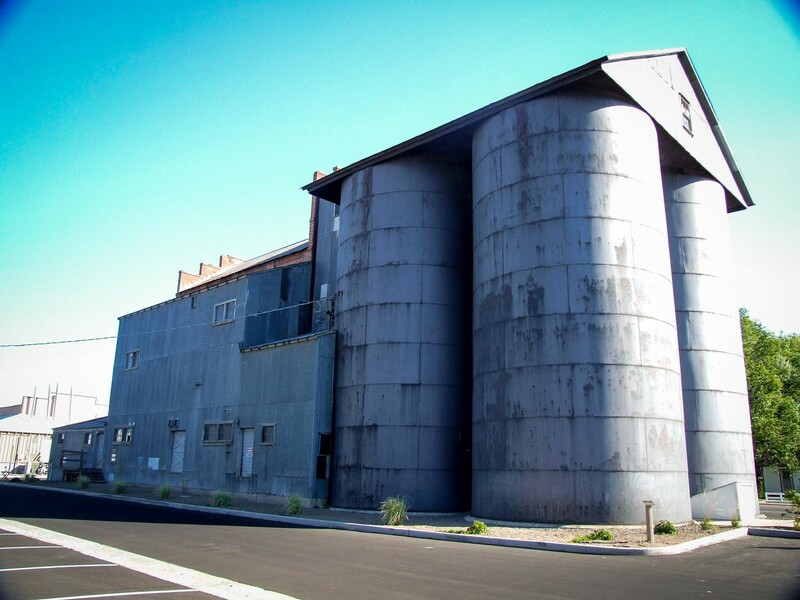 Since the 1970s the building has been owned by Bently Nevada, but while they used other historic buildings nearby for offices and factories, they never really did anything with the old flour mill. Christopher Bently, son of the late Don Bently, who founded Bently Nevada, is following his father’s footsteps of adaptive reuse in downtown Minden. The Bently family sold the electronics business they created to General Electric in 2002, but they kept hold of several other businesses around the valley, including ranching and real estate. 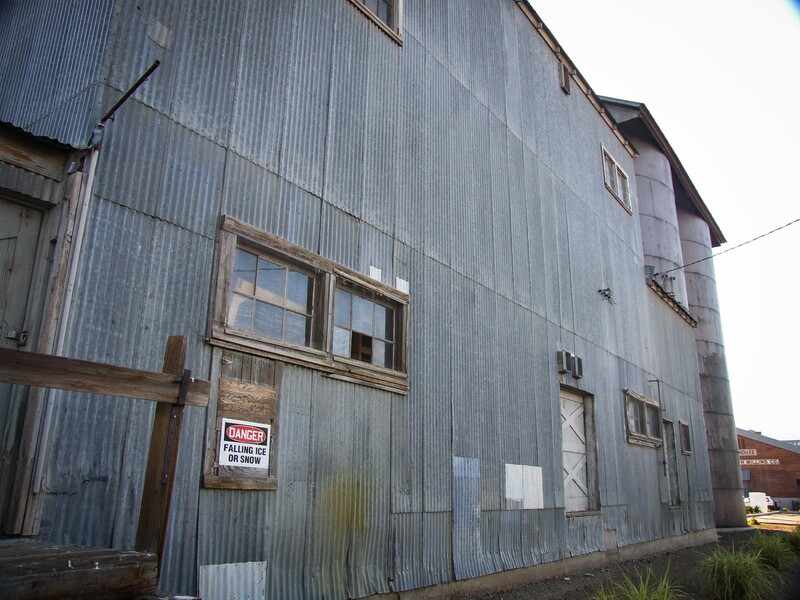 The historic buildings in downtown Minden were not part of the sale, and now Chris’ San Fransisco-based company, Bently Holdings, has unveiled plans to renovate to flour mill into a thriving destination for tourists and locals. The plans, posted by the Carson Valley Times, were made public as part of the Critical Issues Conference held in Minden. Not much has been published yet, but the two renderings above provide tantalizing glimpses at what they have up their sleeves. A distillery and shopping center in the flour mill itself. The building next door, formerly Meyer’s Mercantile but most recently housing Barton Hospice Thrift Store, will become a community co-op. 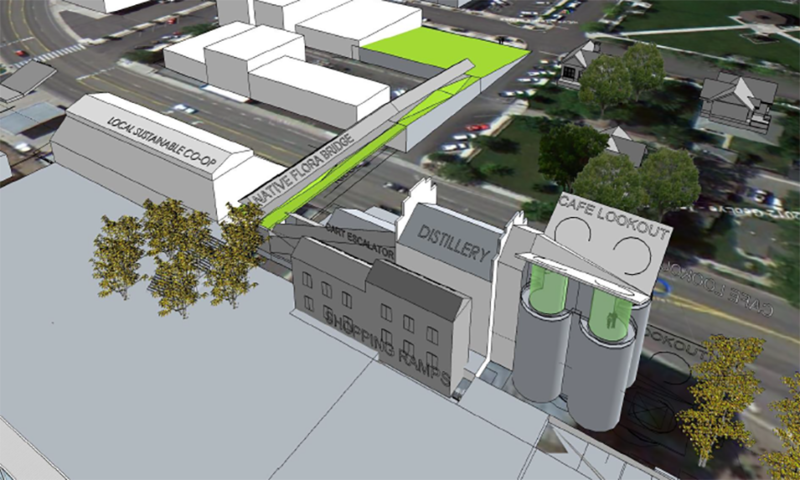 Between the two a sky bridge will connect the complex to Esmeralda Street one block away, giving pedestrians the luxury of not having to cross busy Hwy 395. 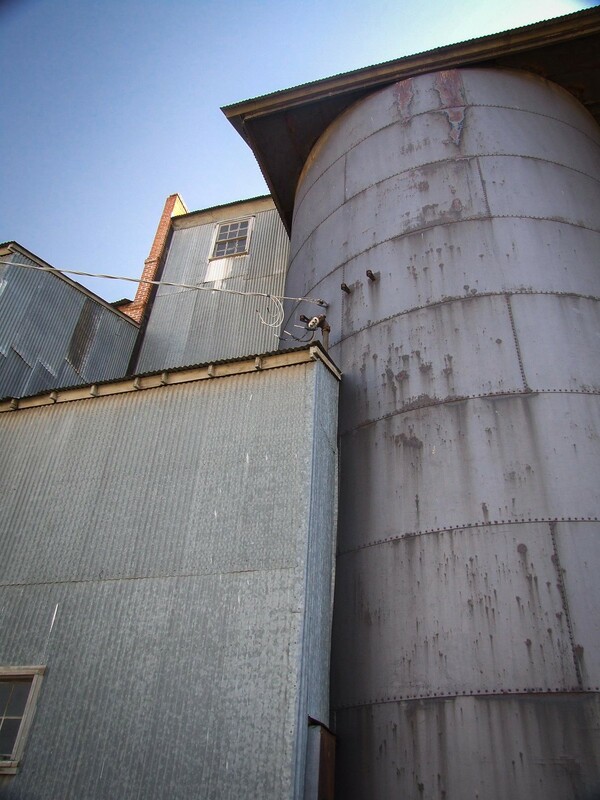 But probably the most striking feature is at the top of the silos. 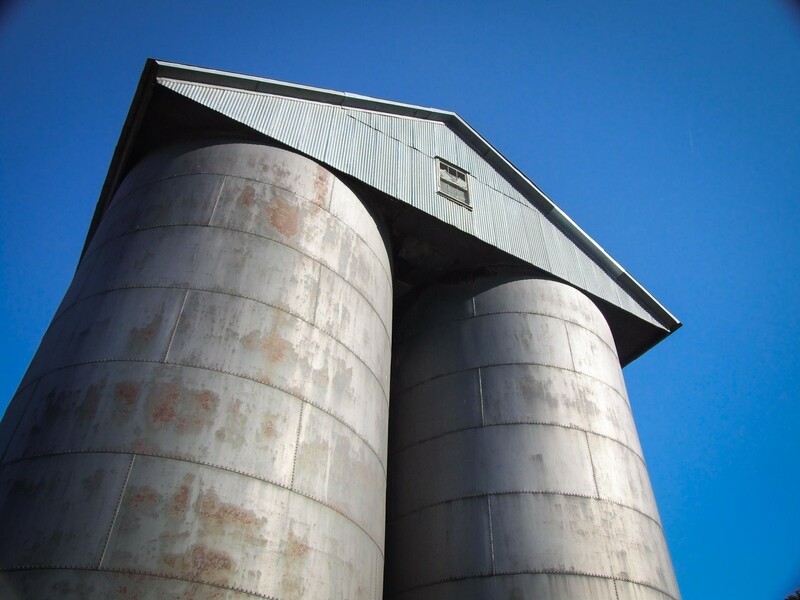 “Cafe Lookout” will be built atop the 105-year-old silos, sporting what look like very modern glass tubes at the top of each silo for patrons to sit, eat and mingle. It’s a bold vision, punctuated with such unexplained features as “Covered shopping cart escalator” and “Train as rolling city.” I’m intrigued. 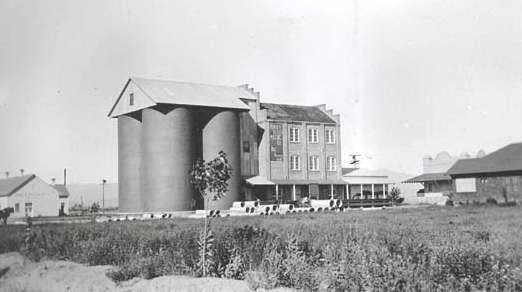 1908, before the silos were built. Overall, I think this is a good move for Minden. 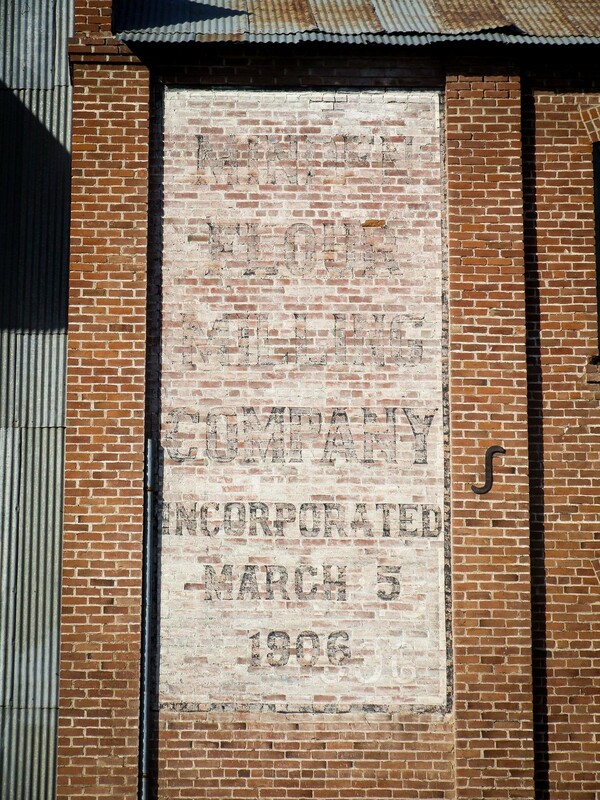 I’ve been clamoring for the flour mill to be renovated for years. It looks like the building still has good bones, and a building that central and distinctive should not be allowed to sit empty and waste its potential. Personally I’ve been hoping for Old Spaghetti Factory to move in, another champion of adaptive reuse, but I’ll take this. We’ll have to wait for more details to come and flesh out the parts of this plan, but I like what I see. There are also questions of money, but I think Bently is the one company in the Valley that could bankroll a project like this. There’s also the matter of bringing in a client base large enough to sustain it, but between tourists staying at the Carson Valley Inn next door and locals I think this could bring in the crowds. There are lot of bodies in the Carson Valley, and nothing quite like this to bring them together. If it’s exciting enough, this could even bring people in from Carson City, Reno and Lake Tahoe, something that I know is a goal of the Visitors Authority. This is an exciting move, and I look forward to watching it come together.